My encounters with the Electroliner. What can I say about the North Shore Line Electroliner, it turns heads. I remeber this trainset as a very young boy of about 3 or 4 years old. I thought it was a rocketship. I was in the loop waiting for an L with my parents when it pulled in across the tracks at the opposite platform. It was very low slung and I thought the windows looked like portholes of a ship. 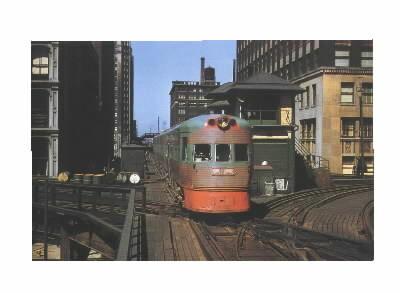 In 1962 and 1963 my parents took me for rides to Milwaukee on the North Shore Line several times. 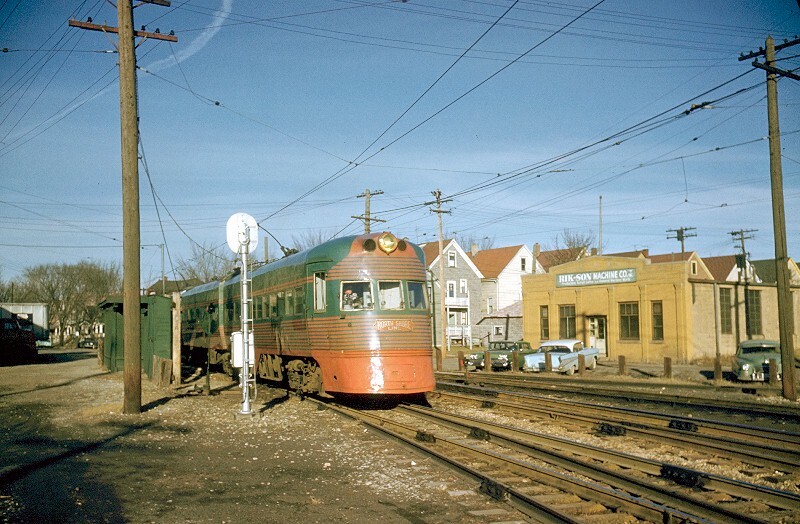 I was older now and could appreciate the look and feel of this fast interurban railroad. 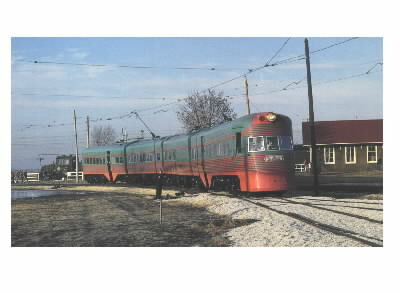 My most vivid memories is riding up to Milwaukee on a green-liner and returning in the late evening on the Electroliner. We almost hit a car backing out of its parking space, but the Electroliner had great brakes. The motorman opened up his window and let the driver have it. He explained about what wins in accidents between cars and trains. Later in the evening heading south on the fastest part of the line I was able to watch the speedometer in the cab. I saw 102mph but in reality 83mph was what we were doing. The North Shore jazzed up the speedometers during the last days, everything was 20 mph faster. Whenever an oncoming train got near the motorman would dim his brights and use a small spotlight located in the cab until the other train passed. I also remember the crowd near the front seat, the still cameras and wind-up movie cameras. Strangers would ask me to move a little bit over so they can get their shot. The end came too fast for me but years later I was so happy the Illinios Railroad Museum got one of the sets. I'm still a member of IRM and have been since 1967. During the 80's I had a chance once again to ride the Electroliner and years later I took a photo of my children standing next to that "rocket ship".